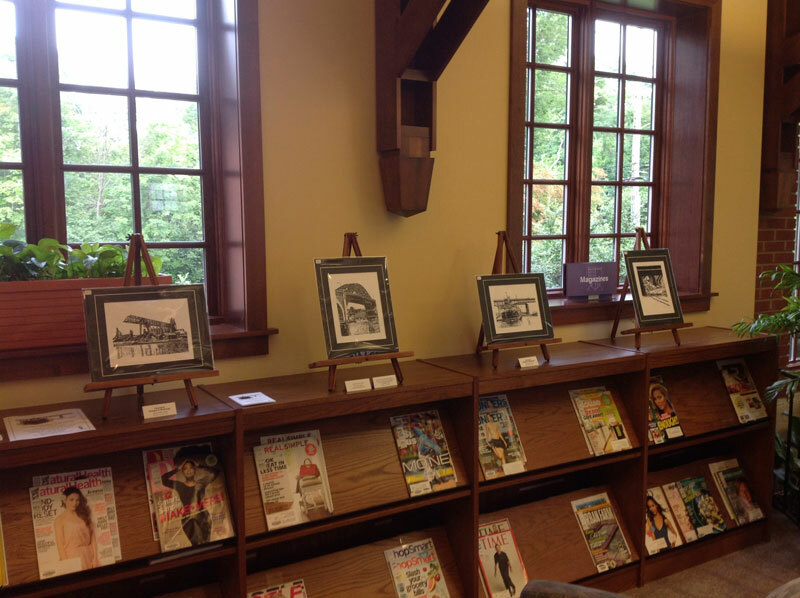 Janet Dodrill art on exhibit at South Euclid/Lyndhurst Library, August 22 – October 31, 2014. Eugenia Vainberg, Janet Dodrill, and members of The Western Reserve Calligraphers Club, artists each who use a ‘lost art,’ exhibit in this group show with work inspired by nature. Exhibit on view August 22 through November 7, 2014. 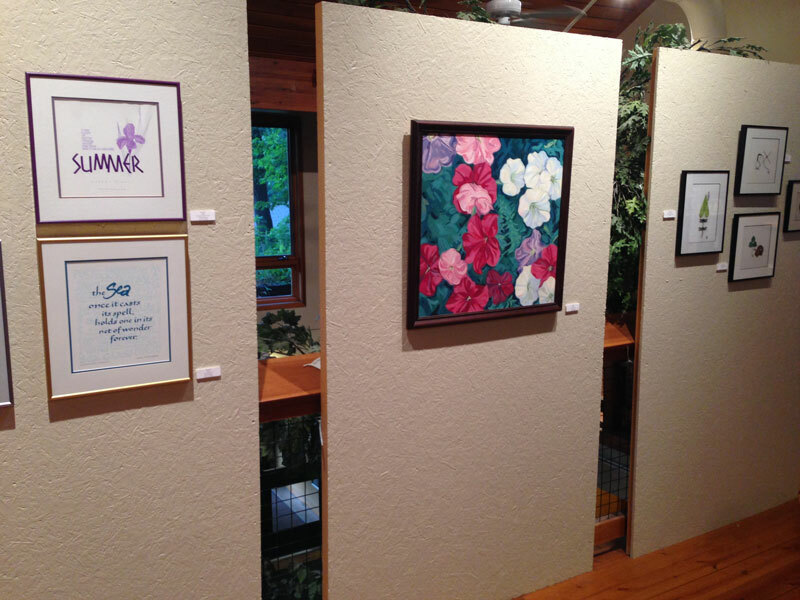 Janet Dodrill art on exhibit at the Nature Center at Shaker Lakes, August 22 – November 7, 2014. 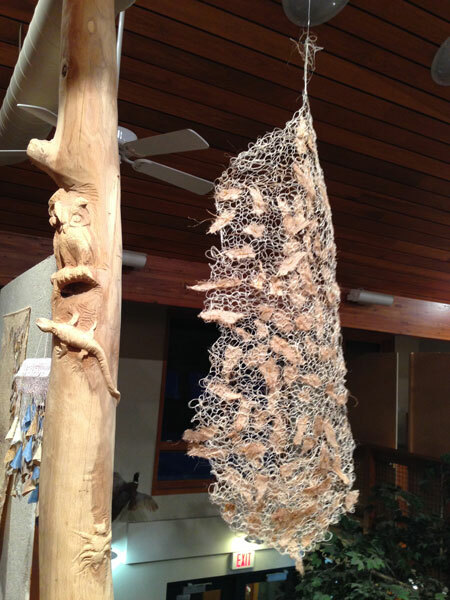 Artist Aimee Lee shows the inside layer of the branch she uses in her papermaking. 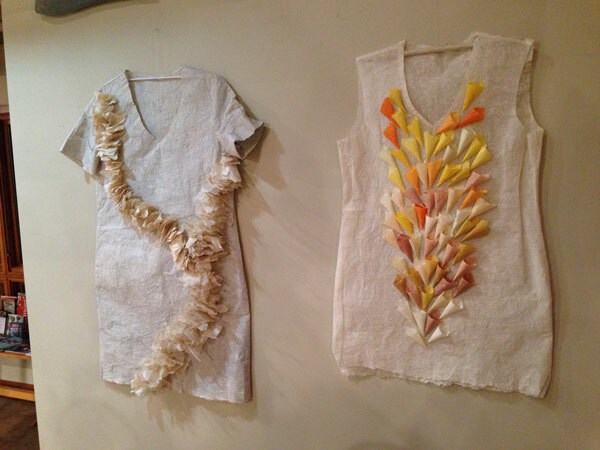 Artist Aimee Lee uses invasive natural plants, herbs, seeds, stems and leaves to create and color handmade paper pieces, in the current exhibit at the Nature Center at Shaker Lakes, Shaker Heights, Ohio. 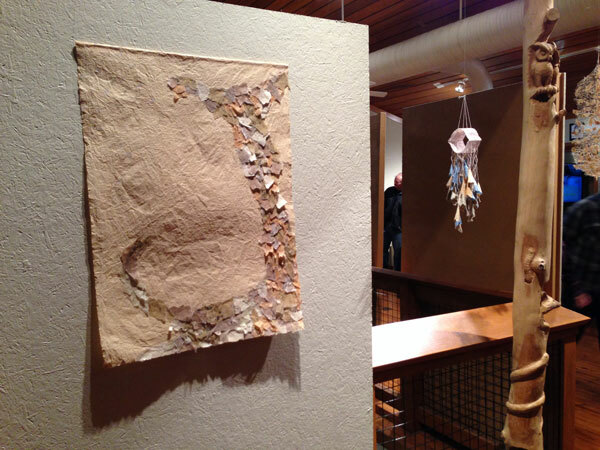 Each piece was unique, simplistically hung, some on wall panels and other from the ceiling – some from milkweed silks, in a well-attended artist’s reception on February 7, 2014. 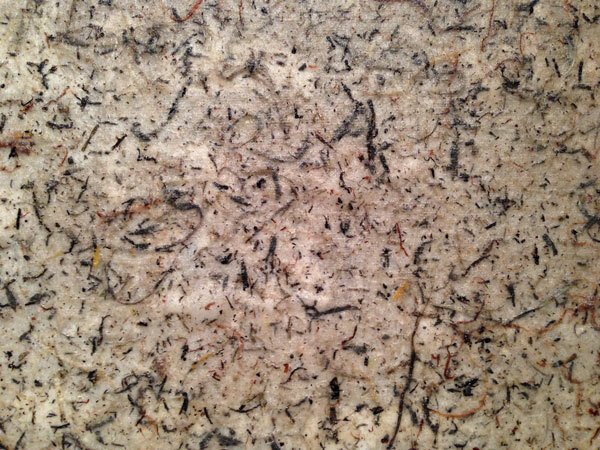 The use of different berries, vegetables and fruits added earthen color to the paper art, and processed plant life and roots made up the pulp. 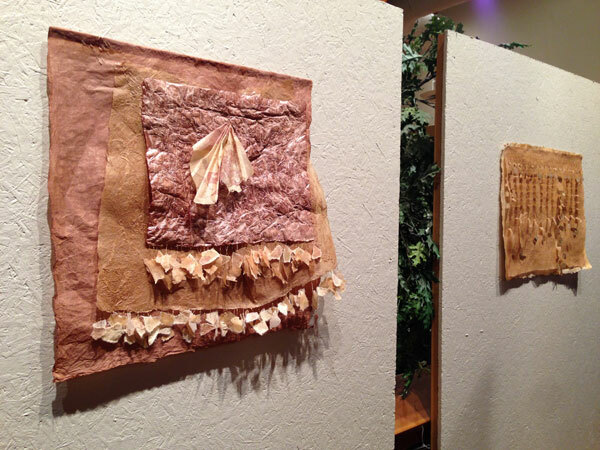 Some of the art was stitched or embellished with gold wire fasteners. 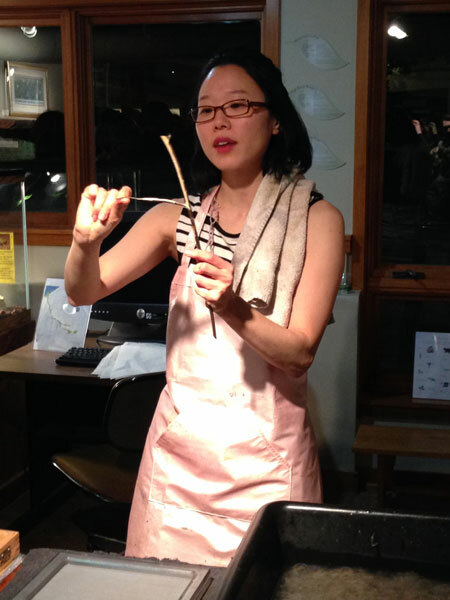 The Korean hanji papermaking process was demonstrated by the artist, and several instructional films ran continuously in another part of the gallery, explaining the ancient craft. Many hours go into creating each sheet of paper. 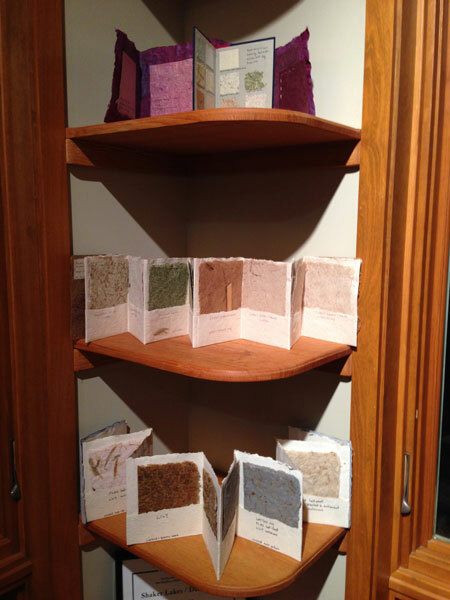 Aimee had samples of different papers with what they were comprised of throughout the gallery on shelves and side walls. Students she teaches from Oberlin College attended, and we were all lessoned on her specific technique. The show runs through April 30th. This one I found very interesting, and the web site said that some of the plants used were from the Nature Center property. 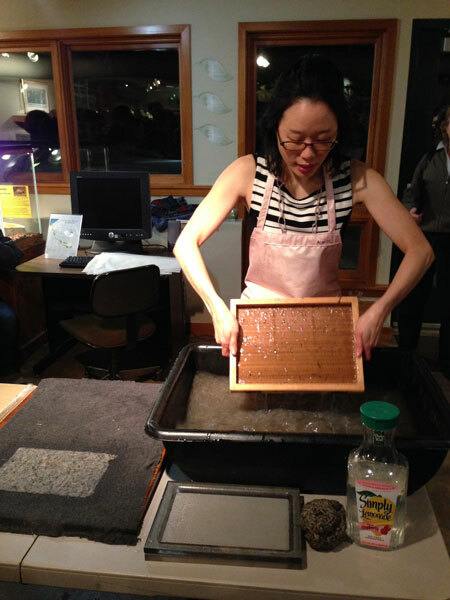 Aimee Lee, artist, demonstrates papermaking using the ancient Korean hanji method. 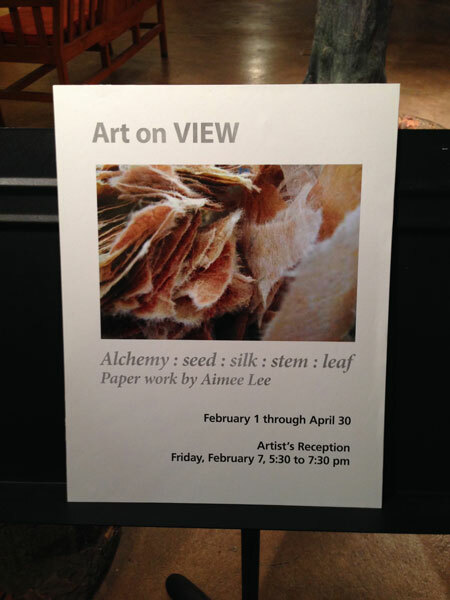 Artist Aimee Lee’s exhibit at the Nature Center at Shaker Lakes, Feb. 1 – April 30, 2014. Paper art by artist Aimee Lee. 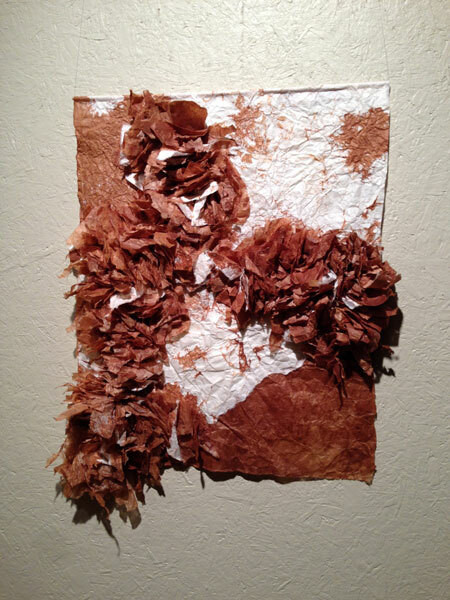 Samples of the natural elements Aimee Lee uses in her paper art and their results. Aimee Lee’s hand-made paper detail using natural plants, seeds, and leaves.